My name is Dr. Matt Kanter and I am thrilled to join Dr. Hauser’s team at Lakefront Family Dentistry. I graduated from Indiana University School of Dentistry in 2012 and immediately shipped out to Southern California with the US Navy. I have been honored to treat our Marines, Sailors, Airmen, and Soldiers over the past six years. 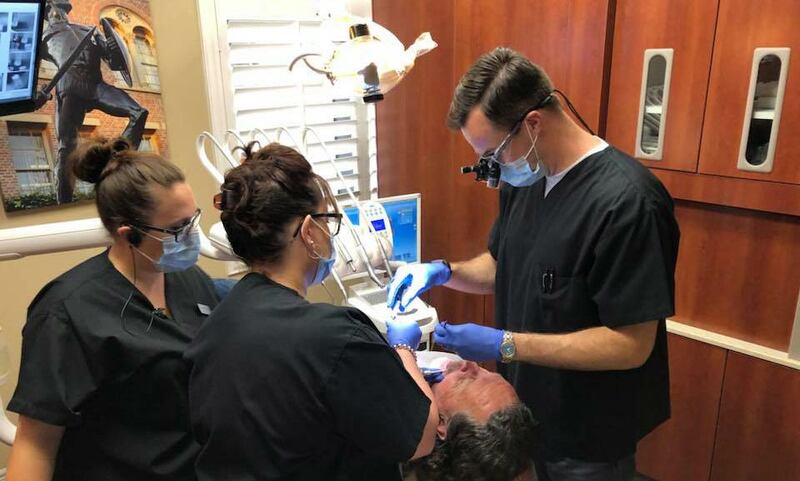 These young men and women deserve the highest quality dental care possible, and I was able to provide it to them using cutting edge technology and techniques. The military culture is dedicated to excellence and encourages its service members to continually raise the bar high for themselves. It is this dedication I am looking forward to bringing each and every one of my patients. Dr. Hauser and I share these commitments to development and education, which ultimately lead to us providing you with the best dental experience possible. Following dental school, I completed a one-year advanced training program in general dentistry. I also recently received my Fellowship in the Academy of General Dentistry, recognizing completion of over 500 hours of courses designed to enhance the dental skills I can provide to you. I grew up in Southern Indiana, the oldest of four kids, and with parents who still live in the same home today as they did when they married. My father is a small business owner who taught me the value of building relationships, and the importance of going the extra mile for his employees and customers. My mother, a nurse, gave me the gift of a healing touch, patient disposition, and desire to help others. Looking back, choosing dentistry as a career was the perfect fit for me. I love getting to know my patients, desire to both provide them with high quality dental care and educate as well, and most importantly, ensure that each visit ends with at least one laugh or smile! I spend my free time sailing, scuba diving, hitting the links, and enjoying our beautiful scenery hiking around in this wonderful corner of the country with my beautiful wife Nicole and our dog, Bodhi. You can see why I never left/wanted to leave! 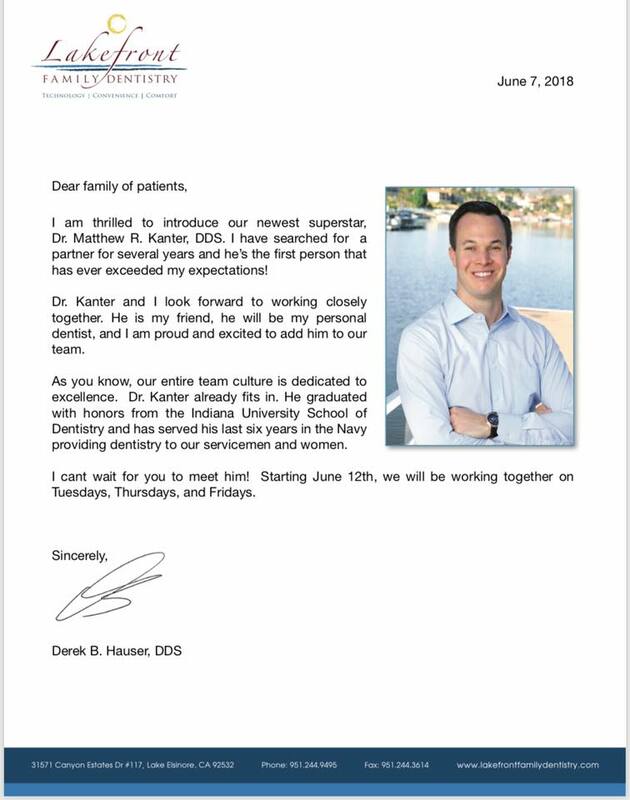 I am so fortunate to begin my next dental chapter with Dr. Hauser and his family. I cannot wait to meet each and every one of you soon!